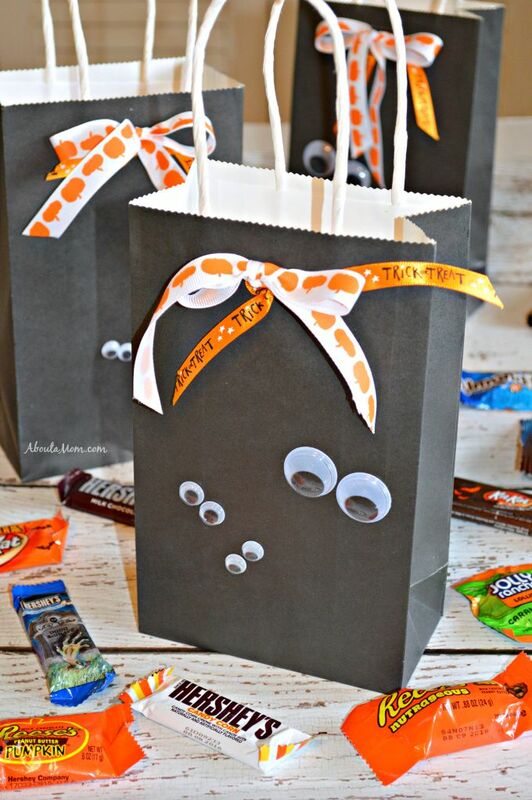 Trick-or-treaters and Halloween party guests will be in for a sweet surprise when candy is presented in these spooky Halloween treat bags. 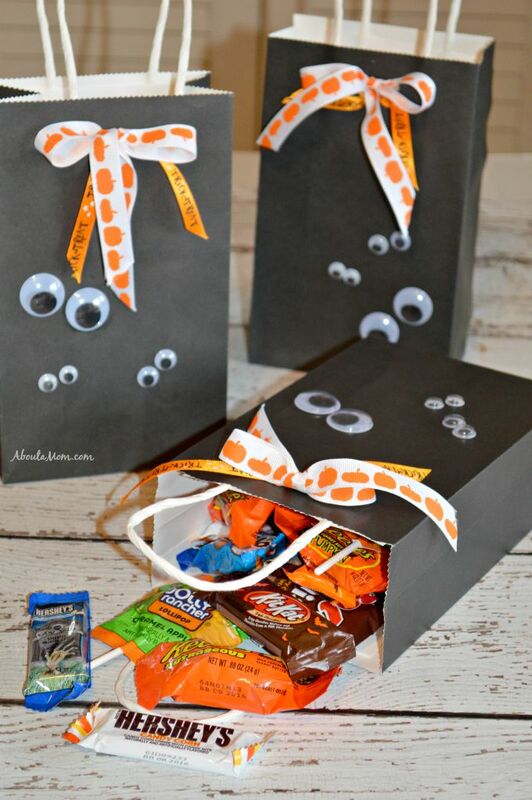 These simple DIY Halloween projects are sure make your celebration extra special. 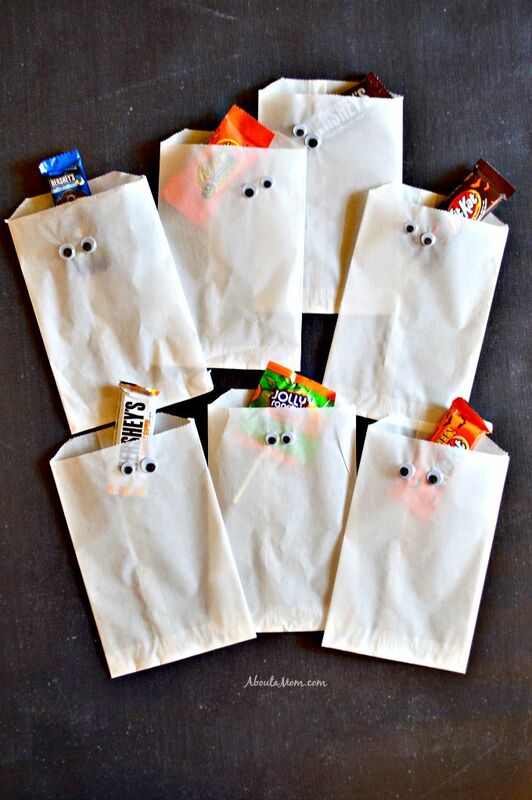 Make these clever ghost and googly eye treat bags for Halloween trick-or-treaters or party guests then fill them with your favorite Halloween candy — treats like Cadbury Scrème Eggs, Reese’s Peanut Butter Pumpkins, and Hershey’s Candy Corn bars.